January 31, 2018 – 5:00 P.M.
Rita Kay New Godbey, age 68, of Eubank, Kentucky, passed from this life on Monday, January 29, 2018 at the Central Baptist Hospital in Lexington, Kentucky after a brief illness. She was born on January 16, 1950, daughter of the late Estil and Roberta Renner New. On June 18, 1966 she was married to her husband Virgil Godbey and they have enjoyed 51 years together. Rita was a kind and generous person who was always giving of herself to others, Her greatest passion was spending time with her family, especially her grandchildren, who was her pride and joy. She was of loving and caring wife, Mother and grandmother. Her absence creates a void for her family and friends. Rita was of the Baptist Faith and a member of the Buncombe Baptist Church in Eubank. Besides her parents, she is preceded in death by two Sisters and one Brother. 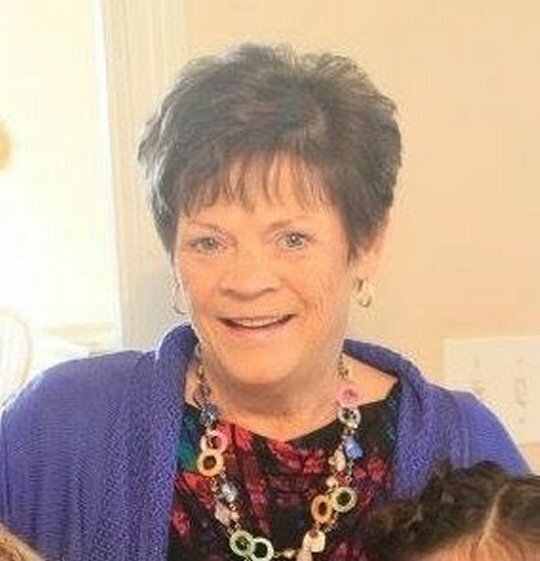 She leaves behind to cherish her precious memories, her devoted husband; Virgil Godbey of Eubank, One Daughter; Sharon (Gary) Powers, Two Sons; Ronald (Lisa) Godbey and Kevin (Lidia) Godbey, three Brothers; Gary ( Betty New, Jerry (Debbie) New and Joe New, Twelve Grandchildren; Natasha Bullock, Dustin (Brittney) Godbey, Tyrone Godbey, Davin Godbey, Nathan (Shellbie) Powers, Cody (Lillian) Powers, Kayla Godbey, Jamie (Adam) Putman, James (Brittney) Stumph, Lydiann Debernardi, Ahyleen Laines and Jaydon Laines, Eight Great-Grandchildren; Kaden Bullock, Kaydence Bullock, Gavin Johnson, Makenzie Putman, Addison Ellis, Keaton Powers, Leon Stumph and Rolf Stumph and a host of nieces, nephews, cousins and other relatives and friends. She will be greatly missed by those who knew and loved her. Family and Friends will gather for Visitation on Wednesday, January 31, 2018 from 3pm until 5pm in the Chapel of Southern Oaks Funeral Home. A Celebration of Life Memorial Service will follow at 5:00 p.m. with Bro. Edward Bray officiating. Southern Oaks Funeral Home is entrusted with the arrangements for Mrs. Rita Kay New Godbey.